Select Rootstech Sessions to be Broadcast Live and for Free Starting Thursday! SALT LAKE CITY—RootsTech, a leading family history and technology conference held in Salt Lake City, Utah, February 2-4, 2012, announced that fourteen of its popular sessions will be broadcasted live and complimentary over the Internet. The live broadcasts will give those unable to attend worldwide a sample of this year’s conference content. Interested viewers can watch the live presentations at RootsTech.org. The second-year conference has attracted over 3,000 registered attendees. Also check out the downloads page for the Syllabi, Conference Guide and Expo Hall Map. In an age when much of the news is about limiting our access to vital records, IL in November of last year made it so that adoptees age 21 and older and born after Jan. 1, 1946, can get access to their original birth certificates as long as their birth parents have not filed a form to prevent the information from being released. Read the articles “4,000 adoptees seek Ill. birth certificates” and “Hundreds of IL adoptees born before 1946 get birth certificate for first time” to learn more about the IL law and it’s significance to those impacted. Do you know someone who has taken advantage of this change in the IL law? There will be a hearing on Thursday, 2 February 2012 at 9:00 a.m. of the Ways and Means Subcommittee on Social Security. The hearing will focus on the history, accuracy, use, and impacts of the Death Master File. RPAC worked for several days on preparing information for the subcommittee and lining up noted genealogists who could be available to testify. Yesterday we received the news that no one from the genealogical community is being invited to testify. Congressman Sam Johnson from Texas is the person who has proposed bill H.R. 3475 "Keeping ID's Safe Act of 2011" which would close the SSDI to genealogists. Anyone can present written testimony which we are preparing on behalf of RPAC and several of the genealogical organizations which is due by 16 February 2012. We encourage genealogists in the Washington, DC area to attend the hearing. For details on the proposed legislation see http://www.fgs.org/RPAC. RPAC is in the process of organizing an initiative throughout the genealogical community which will be announced on 14 February 2012. Watch for further information. In the meantime, read about the issues on the RPAC website. The Massachusetts Genealogical Council (MGC) is calling for papers for its 21 July 2012 Seminar with the theme "Ethnicity and Genealogy." The deadline for submissions is tomorrow on the 31 January 2012. The MGC is an umbrella organization representing genealogists, historical researchers, and all those concerned about records preservation and open access to public records. You can also sign up for MGC bulletins at www.massgencouncil.org (left column) or directly at http://tinyurl.com/6sp4usf. Arlington, VA, 27 January 2012: The year 2012 marks the 100th anniversary of publication of the National Genealogical Society Quarterly. To celebrate this anniversary and to honor the history of the Quarterly, NGS Video Productions has created a historical archive of some of the most appreciated genealogists of our time called Voices of Genealogy. The first episodes with George Ely Russell, CG, FASG, FNGS, are currently available to all NGS members on the NGS website at http://www.ngsgenealogy.org. George was the editor of the NGSQ from 1971-1986. 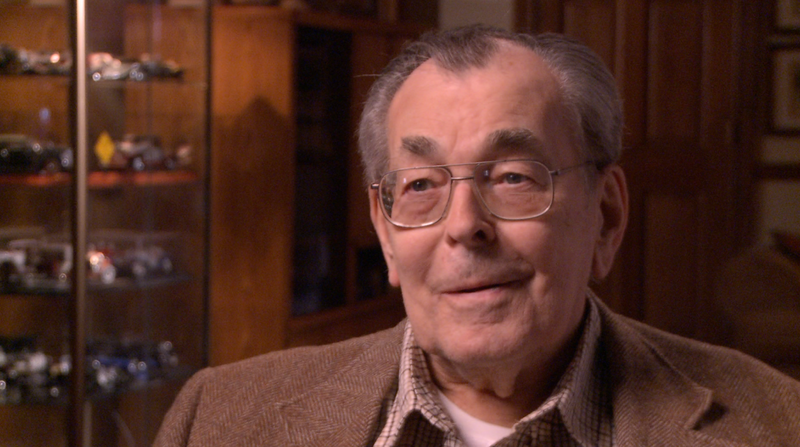 Interviewed at his home in Maryland by Melinde Lutz Byrne, CG, FASG, current co-editor of the NGSQ, George reflects on the value he finds in genealogical research, how he started as a researcher, his work as editor of the Quarterly, and his activities today. More information about the interviews is available in the January-February-March issue of the NGS Magazine. As always, we welcome your comments on the videos. Please contact the executive producer, Arlene V. Jennings, at [email protected]. Have Ulster Irish Heritage? If so, you might consider attending summer school! The Ulster Historical Foundation in partnership with the University of Ulster is presenting such a summer school opportunity. Last year's summer school attracted a number of overseas visitors including a very welcome group from the East Tennessee Historical Society. Learn more about this summer school opportunity at www.ancestryireland.com/summerschool. About the Ulster Historical Foundation -- is a charity, founded in 1956, with the mission to tell the world the story of the people of Ulster, encourage an interest in the history of the Province, broaden access to historical records and documents on Irish and Scots-Irish genealogy and to inspire pride in Irish and Ulster heritage and culture. In pursuit of these aims the Foundation engages in a variety of activities including the provision of a range of genealogical research services, the publication of high quality genealogical, educational and historical books and the organisation of cultural/heritage tours. Further information on the Foundation and our work is available on our website, www.ancestryireland.com. In January 2012, the National Genealogical Society (NGS) introduced a new format for their genealogical Events Calendar at the NGS website. The Events Calendar will now be presented in a table format that is easier to read and will allow the reader to scroll quickly down the list to find events of interest. The format, prioritized by date then event and location, will help make sure genealogists don’t miss an event that is important to them. NGS subscriber organizations will now have an easy-to-use “form” at the website that standardizes the information submitted for the Events Calendar so important details for an event are included in each submission. Now subscriber organizations have a more timely and flexible alternative to publicize their local, regional, and national events to the thousands of daily visitors to the NGS website. The online form that subscribing organizations submit can be processed very quickly and the Events Calendar can be updated within days, an advantage to organizations and to our members who want to stay current. The new Events Calendar can be viewed at http://www.ngsgenealogy.org/cs/event_calendar . If you want to publicize your genealogical event and become an NGS subscriber organization, please visit http://www.ngsgenealogy.org/cs/organizational_subscriptions. The California State Genealogical Alliance (CSGA) has started a blog to discuss copyright issues as they impact genealogists. The blog does contain resource links. There is also an older “Copyright for Genealogical Societies” webpage with a lot of useful information. Often, it’s not the use of material which is the issue, it’s not getting permission from the “source” and/or “not crediting” the creator of the material. As genealogists, just like for our research, it’s critical that we document and credit our resources for everything we use and reference. With regard to copyright issues, do you have any words of wisdom for your fellow genealogists? 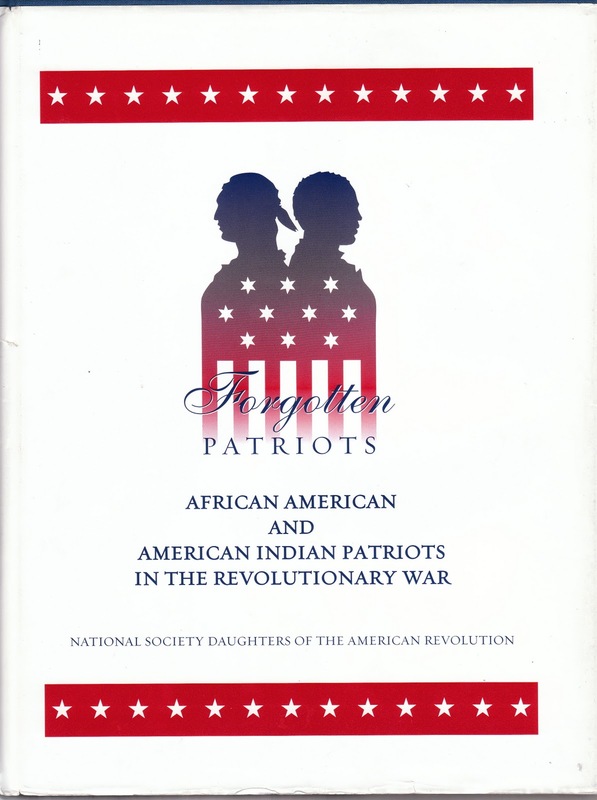 DAR's Publication Forgotten Patriots is Now ONLINE! 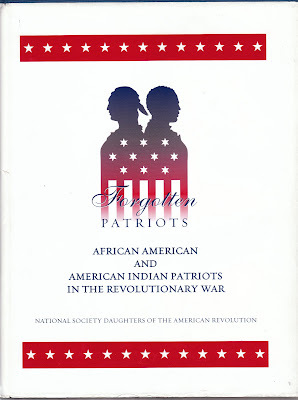 The DAR’s Forgotten Patriots Project focuses on the important contributions made by African American and American Indian patriots of the American Revolution. To date, thousands of Forgotten Patriots have been identified, and DAR researchers continue to uncover these individuals and their unique stories. NOW you can download both the 2008 version of this publication and a 2008-2012 supplement from the DAR website. Did your African American or American Indian ancestor serve during the Revolutionary War? If so, we’d love to hear about it! 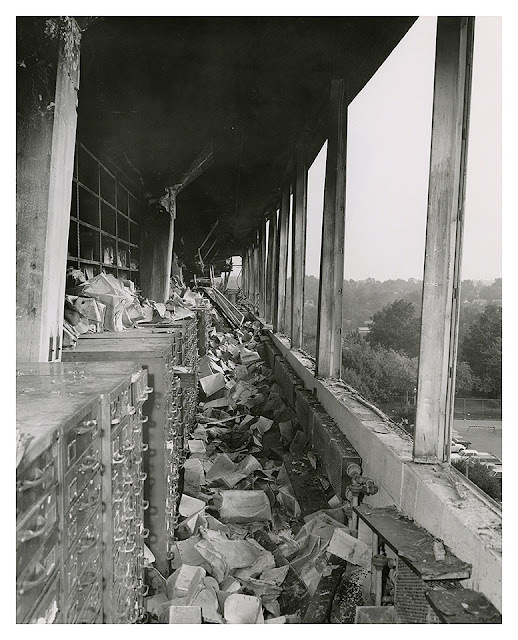 Many of you are familiar with the 1973 fire which destroyed the records of many of those who served in the military. Well, the effort to restore these documents is still underway. 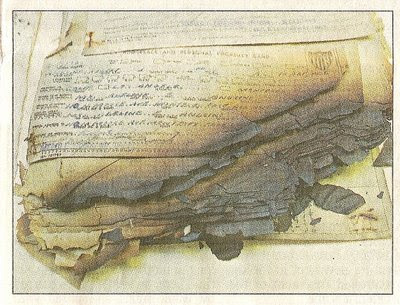 Read the article to learn more about the efforts to preserve and restore documents burned, eaten by insects, harmed by mold and destroyed via other methods at this facility. To Use White Gloves or Not? Some archives require you to use “white gloves” when you handle older documents and other’s don’t! I have been to both kinds. The Medieval and earlier Manuscripts Blog of the British Library has weighed in on this topic. The International Preservation News published in December 2005 an article titled “Misperceptions about White Gloves.” I found this an interesting read. What are your experiences and thoughts? What ... no Wikipedia today, no blogs ... what’s going on! Did you see the graphic on Google today? Check out the information provided by Wikipedia regarding SOPA and PIPA and why there is an across-the-internet “blackout” in effect for today in protest of these two pieces of legislation! Don’t think this affects genealogists? Check out the “blackened” Internet Archive – a repository for so much information directly relevant to our genealogical research! NARA -- Know Your Records Voting -- ends tomorrow! Like to vote? Well here’s another chance. Through tomorrow, 19 January 2012, NARA is seeking your input on which of their “Know Your Records” Programs held from 2009-2011 and that are on video, you would like to see posted! The National Archives and Records Administration hosted more than 370 Know Your Records talks on topics including genealogy, ethnic heritage, declassified records, Civil War, social media, and more over the past two years. We want to make them available to a wider audience by posting the videos online, and need your help to figure out where to start: which talks are you most eager to see posted to YouTube and iTunes U? Read through the list of program summaries, vote on your favorites, and let us know what you think. This is just the start of an ongoing project, so we’re looking forward to hearing what you have to say! I have voted. Have you? If not do so now by clicking VOTE. Elizabeth Shown Mills Has a New Website! NARA Citizen Archivist Dashboard Live!